This is a set of additions and improvements to the code sngine, not wanting to send something light, this is an enhancement to all the codes. Sngine v2+ is a Social Network Platform is the best way to create your own social website or online community. Launch it in just 1 minute with ultimate features. It’s easy to install. 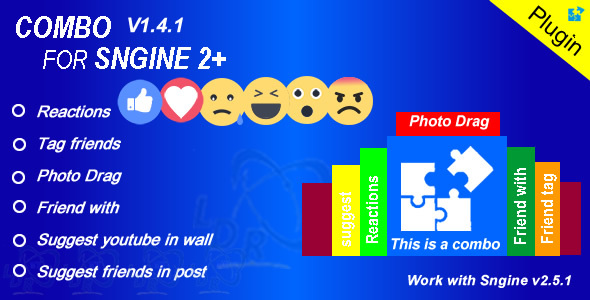 Using this plugin you can publish a best socialnetwork on your site, this plugin is compatible with sngine 2.2 Thank you for purchasing this plugin. If you have any questions that are beyond the scope of this help file, please feel free to email via my user page contact form here. Thanks so much!